These services are provided by Medical Audits Infection Prevention Team. 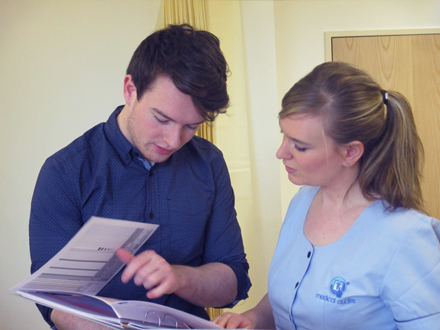 Our team are qualified Infection Prevention and Control Nurses (IPCN) with years of experience in healthcare. Our IPCNs all have an MSc in Infection Prevention and Control and have been working in clinical practice for over 15 years. Medical Audits have a team of experienced, qualified, Infection Prevention Nurses with years of clinical practice available to provide short term support for your local Infection prevention and Control team. We can help with a range of different support services to enable your team get on with the day to day activities of infection prevention. We provide an independent auditing service which can be designed and tailored to your specific needs. If you are struggling to get Surveillance of HCAI up and running and just don't quite know where to start - give us a call. Our audit and Surveillance software will make prevalence audits and collection of surveillance data much easier and faster than you'd think. If you just don't have the time or resources to get surveillance started, then we can come on site and complete the prevalence audit data collection for you. We will analyse the results using our powerful surveillance software and provide you with a risk assessment report and an action plan for ongoing targeted surveillance. We can help you set up a surveillance programme to meet you specific needs and provide advice on targeted surveillance strategies. One off Prevalence audits of Surgical site infection, Blood stream infection, Urinary Tract infection, MDRO etc. New standards released or need to update your current procedures and guidelines to reflect newest standards? 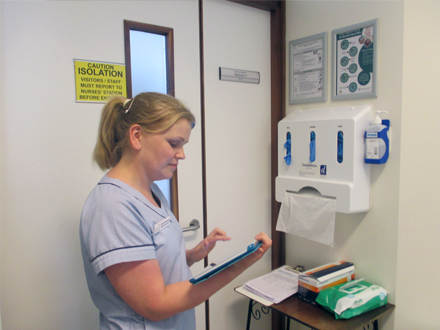 We can assign an experienced Infection prevention and Control Nurse (IPCN) to come on site, review current practice and documents and cross-reference them with the most up to date standards. We will then provide a report detailing the gaps in practice, areas requiring changes to protocols or updated documentation required to meet the new standards. We will develop a Quality improvement plan detailing progress and steps to compliance.